You see, he sees that he has a place, his own place, his own rightful place on stage from which he will be himself. He has a place-the hearth to return to-so he is not an orphan (any more). No longer constrained by his fears of what others will think, or fear of his own failure or stupidness, he will simply respond as he feels. Think of that. I could go on, but why bother leading others to see it my way? See this your way, but consider it and let me know what you think, what it makes you feel (if anything). I think it’s a very good expression of awareness of and responsibility for one’s own self. “I am not a cosmic orphan” one of the best lines ever written to describe artists. Along with the idea of changes in neurology, there is also the idea that people are incarnating now (presupposing the validity of reincarnation) in a different way because they have different goals or needs. Kind of a two-way street: the world changes us, and we change the world. The trick with your idea of the child articulating a calling is that the child may have a calling or purpose that is unconscious in them. All they might know is that they have their needs and perceptions and reactions, and somehow those aren’t jiving with the people around them. Kind of like Einstein appearing for all intents and purposes like a complete failure! Having said that, I recently read an article in the Atlantic magazine titled, “Is Google Making Us Stoopid?” about how the way people use the internet is affecting their actual neurology. So, it does seem possible to me that in an information age, we might start to produce children who actually are “wired” differently. The problem I have with the indigo idea is that, if the indigo child is special and transcendent, then he should be able to articulate a calling or purpose, and if a child is really impaired, such as a child with autism, is he fulfilling his calling by not fitting in, or are people merely being wishful? I’m just not sure about those aspects of this idea. I’m going to make a wild guess and guess that you’ll probably agree with a lot of what I’ve written, which goes far afield of the issue of what sort of consciousness do children actually have? On the one hand, one doesn’t want to romanticize it; on the other, we don’t want to underplay the significance of childhood, either. Hmmm…consciousness in children is a tricky thing, because I think there are different kinds of consciousness! Children generally have a very focused yet dreamy, present-moment consciousness based on sensation. When they’re eating, they’re just eating and experiencing the taste and smell and texture of the food. When they’re in pain, they’re fully in their pain. Now, my son is less like this than my daughter. My daughter is still in this “dreamy” stage of early childhood. My son, however, came in with more “adult” consciousness: he already worries about things, his emotions seem deeper and less in the moment. But certainly he’s still a five-year-old: he’ll be completely unaware that he’s got his fingers in his mouth. He’s still unable to really feel the passage of time in any close relation to clock time. He won’t necessarily realize that he’s hungry and tired–he’ll just tantrum out. I think what I was getting at was the idea that little children really don’t fear much, if they are raised with love and safety. They don’t have anxiety, they can be simply themselves without social masks. And after all, they were just recently in heaven, trailing clouds of glory, so we can’t expect them to have full earthly consciousness. Now that I’ve said all that, there are people who are perceiving a change in children these days. There is an idea of “Indigo children” who really do have different consciousness. The old ways of relating and guiding children don’t seem to work with them, and if I am remembering it right, this is in relation to the upswing in diagnoses of behavioral problems and things like ADD and autism spectrum. I haven’t read a whole lot about this, so I can’t really say much more. But I have read about some autistic people who are writing about how their self-perception as people who simply conceive of the world differently than the rest of us, that their supposed disabilities are just different methods of processing. I’m getting slightly off topic here, but it’s related to this whole idea of consciousness. And Steiner had a lot to say about consciousness and its evolution. Briefly, he likened the maturation of consciousness in the human being during their lifespan to a progression of certain world cultures. It’s a fascinating take on “as above, so below” or microcosm and macrocosm. And it points to actual changes in consciousness as opposed to the assumption that consciousness is a yes/no concept. Nope, I haven’t seen the movie. You are the third person who has recommended it to me lately, though, so I’ll go rent it this week. You’re the third, so thank you; I will see it. Eve, have you seen the movie The Jane Austen Book Club? I highly recommend it. 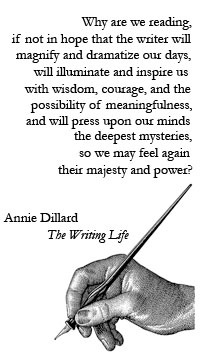 Charlotte, what you wrote reminds me of what Carl Rogers said, “What I am is good enough, if only I would be it openly.” This is the task of the writer, and when a writer actually does it, I think it comes from the realm of mysticism and heroics. RG, you make a good point; Heni, too, mentioned compassion; I think we always have to resist the urge to think we are universe central. Helen, well put. “Once a person has a home, he can go anywhere; once a person has an identity, he is no longer afraid to be himself. He belongs wherever he is.” Now that’s good. I wonder if living on borrowed identity is so anxiety-producing because the individual knows he is not authentic? 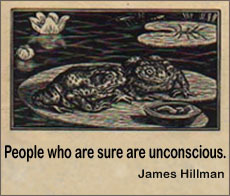 By the way, writers and poets, and thinkers and readers: I’ve been watching a James Hillman DVD and the consensus at the end of three days of teaching about the modern practice of psychotherapy is that poets and writers do it better than psychotherapists. Now isn’t that interesting? What is the “it” they are doing? Showing the human condition and what it is to be fully alive. So apparently we should all read more poetry and fiction. and hidden from the world” spoke to me the most, since I am writing and preparing to share the best and most human parts of me with the world. I think it accurately describes any artistic and creative process, as well as the process of putting the ego aside to be authentically oneself. This is not only beautiful but meaningful. Once a person has a home, he/she is no longer an orphan. This may or may not be the home into which he came as a child. Home may not even be a physical place. But it is surely the place to which he can return time and time again for refuge from the dangers and wiles of the world. Once a person has a home, he can go anywhere. And once a person has an identity (as one who belongs to given home), he is no longer afraid to be himself. He belongs wherever he is. I like the vow. It makes me think of the Christian’s declaration that “I am a sinner saved by grace.” I found that the ability to admit my faults unequivocally very freeing. One doesn’t have to work to put on a mask of respectability and “niceness.” One doesn’t have to make lame excuses or smug comparisons to others. (“Well, at least I’m not as bad as that sinner over there.”) One doesn’t need false modesty or false guilt with such an attitude. And one need not feel inferior to or afraid of anyone else. The caution that arose in my mind as I read it is that one should avoid become a self-absorbed, insensitive jerk. One should be open but also tactful, whenever possible. One should assert oneself but also respect the rights of others. I suppose those things are a given, but I felt the urge to write them anyway. Heni, you know, I’ve wondered a lot about what children do have. Do they have full consciousness of themselves, or not? How do we know whether they do or not? I recall feeling that I did when I was a child, even up until I was as old as at least 16 years old. I’ve been watching and listening to a DVD of James Hillman at Pacifica Graduate Institute about the practice of psychotherapy. 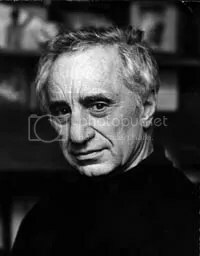 He cautions again and again against clinicians having a set idea of what “whole” or “real” is, lest the human being become no more than a list of deeds. 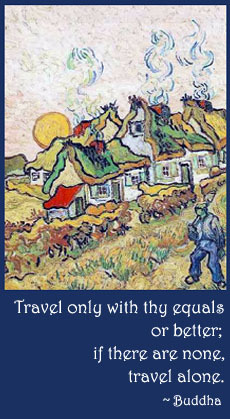 He emphasizes that every single person has his or her own way of being in the world and nobody else can tell them how to live their lives; that all the clinician can do is get a client to the place where he or she can ask, “Now what?” and “Is this all there is?” and then you send them off with a blessing. So we have children, and they seem to arrive asking, “Is this all there is?” and “Now what?” and “What’s next?” as a matter of being. I’m not suggesting that we regress to childhood, but I’m reminded of Jesus saying that we should “become as” children. There’s something back there; what is it? Hillman quotes Jung as suggesting that adults think back to childhood and recall any themes, images, symbols that recurred. For instance, a dream that was repeated, or habits that enlarged one as a child, etc. I found this interesting; as an example, Hillman later says that Jung wanted to be an archaelogist as a child, and dreamed more than once about digging down, down, down. 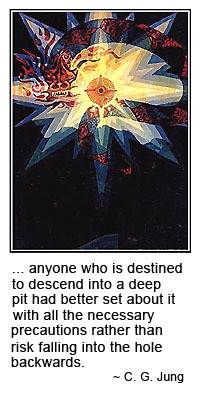 As an adult, of course, Jung was such a pioneer, the father of analytic psychology, plumbing the depths to such an extent that his psychology is also known as “depth psychology.” All that, and he knew in childhood the substance of what his mission was. I find that interesting. Anyway, I’m rambling and I probaby ought to blog about this rather than putting it in a comment. About compassion, maybe he was just beginning with being himself. I’m not sure how we can demonstrate real compassion without first having it for ourselves. Maybe he was just on that particular car in his train of thought, and the compassion car was somewhere ahead or behind. I dunno! I’d like to know how conscious you think your own children are, by the way. Do they seem to know a lot about who they are as they unfold, or not? Lisa, I’m glad you enjoyed the quote, too. I think artists, especially (including writers, of course) need to remember this. Sounds like the most intense, difficult, painful work ever. And yet at the same time it could be the easiest and most natural thing to do. I think children have some of what he describes: they certainly respond as they feel! But I don’t think they have full consciousness. So how to we unpeel all the protective layers we build up as we grow, so that we can get back to that open state with awareness and without fear? I wonder about compassion though. It’s not mentioned, as if the important thing were only the self. Or is it that if we were all being truly authentic and open, then compassion would be a natural result? I think it is wondeful and powerful. Thanks for sharing this. It’s beautiful.